Chocolate dipped strawberries are one of those intimidating treats that are really so easy to make you will wonder why you've never made them before. Of course you can always make them extra fancy and put lots of time and effort into them, but today we want to just talk about making quick and easy ones to impress those you love this Valentine's Day. Make these for your family or your best friend, they're sure to be a hit. To pick out the perfect chocolate, go to the baking section of your local grocery store and see what they have. We found dark chocolate melting wafers that we used. There are many options so pick what sounds good to you. The secret to making these quick and easy is to buy specific melting chocolate. Follow the directions on the bag for melting the chocolate in a microwave safe bowl. Individually dip your strawberries into the chocolate and slightly twist your berry so that the excess chocolate drips off. While the chocolate is still wet, dip your strawberry into chopped almonds or coconut flakes. You may want to pick up the toppings and sprinkle them onto the strawberry if the dipping is too messy for you. To create a contrasting white drizzle, take a fork and dip the fork tines into white melted chocolate and drizzle it across the strawberries. Set the strawberries on wax paper and then place in the fridge for 10-15 minutes to harden. If you are in a hurry, just skip the toppings and do plain chocolate dipped strawberries. It will be just as impressive! Whether you are serving the strawberries up at home or gifting them to a friend have fun and get creative! And don't feel guilty if you sneak one or two (or three or four). Do you exchange gifts with anyone on Valentine's Day? Do you buy gifts or make homemade ones? What is your favorite part about Valentine's Day? Or do you not like it? For more ideas and inspiration be sure to follow us on Pinterest and always remember to use #justartifacts in your social media so we can see what you're up to! The most popular football game of the year is coming right up!! Whether your favorite part is the game, the commercials, or the food, there's a good chance a party will be involved. Change things up this year by setting out a nacho bar for all your friends. You can either have everything ready to go or assign your friends one or two toppings to bring to share the work. A crockpot or two will be great to have on hand for the cheese and beans. Use ice cream cups for the toppings with some wooden forks and spoons for serving. Don't forget all the tableware necessities. You will need forks, napkins, plates, and table cloths. Mix and match your favorite prints and colors. Have fun with the decorations. We used a tissue paper tassel in our favorite game day colors as well as some matching tissue honeycomb balls, if you only open them half way they hang nicely on the wall. We used black chalkboard paper for the football field backdrop. To add some extra pizzazz to the table we used a few paper pinwheels. Don't forget the cupcakes! We made these fun cupcake toppers using paper straws. Cut the straw into two pieces. Fold one of the pieces into 3 parts making a "u" shape. Super glue the bottom of the "u" shape onto the top of the second piece of the straw. Then insert it into the cupcake. Grab some little footballs to decorate the rest of the cupcakes and wrap them up with cupcake wrappers. Most importantly...enjoy your nachos! Some of our favorite nacho toppings include: nacho cheese, black beans, refried beans, olives, chopped tomatoes, green and red salsa, sour cream, jalape�os, ground beef, and/or shredded chicken. What are your favorite toppings? Do you have Super Bowl plans this year? Are you hosting? Does your favorite team have a chance of playing this year? Be sure to check out Just Artifacts for all your party needs in your favorite team's colors, even if they aren't playing. Be sure to follow us on Instagram to keep up with what we're doing! Maybe you're looking for a perfect gift for a best friend or sister or even a mother in law (who are always tricky to shop for). Maybe you are just looking for a way to spruce up your next party. Whatever the reason is, this project is destined to be a favorite. Today we have the simple steps it takes to make your own custom cake/treat stand. The first step is the most fun. Head to your favorite local hobby store, thrift or antique store, or any type of home goods store. Pick out your favorite plate or dish as well as a candle holder or glass that will go well with it. Ceramic is best for this project, we used a candle holder and a plate. Make sure there is a somewhat flat surface on both the plate and the cup. You will be gluing the flat surfaces together so the more flat surface area, the better. The only other thing you will need for this project is a good adhesive glue. We used Gorilla Glue, but anything similar is fine. Once you gather your supplies you are ready to get to work. Clean the areas on your dishes before getting started. Follow the directions on the glue label. For the Gorilla glue you have to moisten the areas before applying the adhesive. Apply the adhesive on either the plate or the cup. We flipped the candle holder upside down and applied the adhesive to the outer edge that sticks up. We didn't use any adhesive on the plate. You need to find a way to apply pressure to the pieces as they set. We kept the stand upside down and then stacked books on top. It needs to set for a couple of hours so just leave it in a room and walk away. After you have completed all the adhesive directions you are all set to go! With so many different dish options out there the possibilities are endless. Like we said, these will make great gifts, liven up a party, or even add decor to your kitchen. How big or small you make it is up to you. 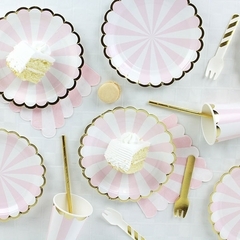 How fun would it be to make a whole bunch of coordinating cake stands to use on a buffet table at an event or wedding. Have fun with this and be sure to use #justartifacts in all your social media. We'd love to see what you come up with! Valentine's Day isn't just for lovers anymore. Now it's a celebration for all the people in your life that you love. And that most definitely includes all your favorite girlfriends. According to the show Parks and Recreation, on February 13th the husbands and boyfriends are left at home and the ladies celebrate the ladies. Now that is one holiday that we are more than happy to celebrate. Today we have some fun decorating ideas to help you celebrate all the favorite ladies in your life! We decided to go with a pink polka dot theme for this party. Girly and fun is what we're going for. This pink polkadot table cloth is perfect to bring it all together. Add in some fresh flowers and you're good to go. Pink and red daisy lids are always a fun touch to the drinks. Your friends will be sure to keep track of their own drinks because they won't want to let them go. As an added treat let your guests take them home! It will be the party that just keeps going every time they get it out. Don't forget to use some fun paper heart straws. Add some sticker hearts to the top as straw toppers or find a way to put everyone's name on their straws . We love these tissue flowers!! Be sure to grab a few in your favorite colors with some matching tissue tassels. A few different shades of pink are fun, but you can also add in some purples or blues and it will look just as good. We used baker's twine to hang some glittery pink hearts from our tissue tassel banner. This just makes it a little more festive and the hearts will sway around which is kind of fun. At the center of every good party is a great food selection. Mix some sweets with some veggies to cut back on the guilt. Pita chips and veggies with hummus are yummy and top it off with some cookies, doughnuts, and little candies. Yum!! Paper plates and wooden cutlery will make for easy clean up. Use ice cream cups to serve the veggies. Circle them around a cup upside down with some dip on top. Don't you just love how all these shades of pink polka dots go together?! We do. The most important thing is to have fun! Check out our entire line up of Valentine's Day party supplies. 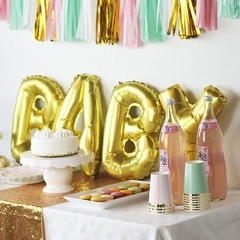 For more party ideas check out our Pinterest page. Be sure to use #justartifacts in all your social media so we can see what you're up to! Happy Galentine's Day! Now go and eat some pink cookies and don't feel guilty! It is a fact that weddings are beautiful events. Plan a wedding for the winter and it becomes not only beautiful, but magical as well. Winter white is sophisticated and elegant and we want to make sure you are all prepared for the big day. 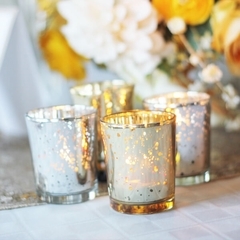 Today we have a fun DIY project to add a whimsical touch to your winter wedding. Even though all eyes are on the bride, you still need to make sure the details add to the overall magical effect. This project is pretty straightforward and leaves a lot of room for creativity. The first step is to find a perfect branch and to paint it white. By painting it white, it has a more magical feel. We found our branch outside in the yard and painted it with some white paint we had leftover from a previous project. Any kind of white paint will do, and spray paint may be faster. 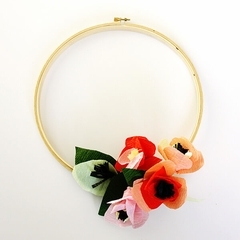 Once the paint dries, you will use hot glue to secure the floral foam into the bucket. Insert the branch into the foam. Take the branch out, insert a dab of glue, then reinsert the branch back into the hole. Bunch up some white fabric around the base of the branch to cover up the foam and secure it down with some dabs of glue. Hang the snowflakes evenly on the branch. Not too many, but make sure there are enough to look balanced. That's it! These white branches will look perfect as a centerpiece on a table or as decor on buffet tables. You can make them smaller or bigger depending on your vision and where you need them. It may be fun to add some pops of red or dark purple to match the wedding colors. Maybe some berries or little colorful ornaments you may have left over from the holidays. If it will be placed outside or in a place with high traffic, be sure to add in some pebbles or something heavy to weigh the bucket down so it doesn't tip over. 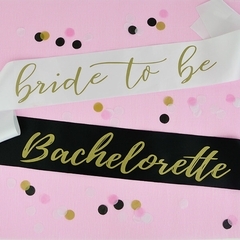 For even more wedding inspiration be sure to follow us on Pinterest! New Year's Day is well known for starting fresh, committing to being better, and for making changes in our lives. A few months into the year we sometimes forget, get lazy, or the goals we set are just too lofty and we give up on them. What is the difference between making goals and keeping them and making goals and sticking with them? First of all we need to recognize the difference between goals and resolutions. A goal is an end result that we would like to accomplish. A resolution is more of an ongoing commitment to progress, there may not be a specific end goal to achieve. When we recognize which category we are hoping to make changes in it may help us stick with them better. For example, let's say a consistently tardy person set a goal to being on time more. After a couple months they may think it's impossible to ever be on time again and completely give up. But what if that same person made a resolution to being on time more. Then at the end of each month they can recognize if they improved or not and try a little harder the following month. There is nothing set that will cause the person to feel like a failure. Maybe they just need to choose one or two outings each week that they want to be on time to and each week increase that number by a couple more. Do you see the difference? social: keeping in contact with friends, remembering birthday cards, making specific plans with people, be one time to things, plan more parties, try out new local restaurants. emotional: doing something for yourself regularly, reading different genres of books, devoting time to spend with family. physical: choosing healthy meal options, going on walks at lunch time, practice deep breathing. mental: brush up on your favorite topics from school, learn a new skill, learn how to cook new recipes, research illnesses that family members have, stay up to date on the current political situation. spiritual: take time to meditate on what's important to you, find ways to serve those around you, always make an effort to see the good in people. Once you pick an area or two to work on, figure out a specific resolution you would like to set and write it down. Put it somewhere you will pass every day so that it can always be at the front of your mind. Take time at the end of each week or month to analyze how you're doing. Put it on your calendar or make an alert with your phone to remind you that you want to be a little bit better this year than you were last year. Who knows? Maybe a year from now you will have rekindled an old friendship, learned how to make a new favorite recipe, or discovered a new talent you didn't know you have. Easy New Years Eve party ideas! 2015 is coming to an end! Did you accomplish all of your new year�s resolutions of the year. It�s amazing how quickly time flies by. Whether or not you got everything done you wanted to this year, there�s not time to start over like the beginning of the new year, so let�s celebrate. Grab all your best friends and get ready to PAR-TAY! Today we have 4 easy ideas for your big celebration this year. 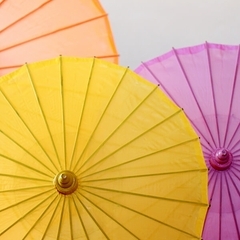 Start with a color scheme or a theme. Start with some festive colors and a theme and it will make the rest of planning so much easier and much more fun. We decided to do a �Be the Queen in 2016� theme which made it easy to pick some royal colors: black, purple, and gold. Be the queen. Don�t let the little things get in your way, take back your life, and don�t be afraid of making tough choices. Plan a count down game. For our game we planned an �activity� for every 15 minutes starting at 11:00. This will keep the guests busy and having fun. Post the times somewhere where everyone can see them. Then when that time hits, take it down and the activity will be posted on the back. Here are a few ideas we thought might be fun for your 2016 NYE party. Have a contest for the longest handstand. Then the most push-ups. Turn on Adele�s �Hello� and have everyone sing along. Go around the room and everyone has to tell their favorite memory from 2015. Decorate to impress. It's amazing how far a few lanterns and tissue balls will go. 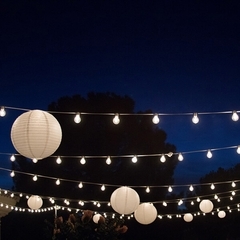 Hang a couple or hang a bunch and your guests will be impressed. Make sure you have a designated photo backdrop. Plan your decorations around your theme and colors. Have fun with it, it�s New Years! You can never have too much food. Set out some delicious appetizers and desserts. Don�t forget your favorite bubbly beverage to bring in the new year. Set out your matching tableware to accentuate your decor and to make clean up much easier. What are your New Year�s Eve plans this year? Are you hosting the party or showing up somewhere else? Or are you staying home with the family? Whatever your plans are, have fun! Don�t forget to use #justartifacts to let us see what you�re up to! Impress all your friends this holiday season with homemade cheesecake! It may sound intimidating at first, but once you try you will never go back to store bought again. Easy and delicious, can't get any better than that. Today we have a fun recipe for you for homemade cheesecake with raspberry drizzle. My mouth is watering just thinking about it. Crush about 5 graham crackers and press into the bottom of an 8" spring form pan. Using a mixer, combine cream cheese and sugar and mix until smooth. Mix in the sour cream and vanilla. Pour on top of graham cracker crust. Bake in oven for 45- 50 minutes or until only the very center jiggles. Increase the oven temperature to 405 F.
Take out and cool. Put in refrigerator over night to set before eating. Combine water, sugar, cornstarch, and salt until smooth. Add in the raspberries and lemon juice. Cook in small sauce pan over medium heat. Bring to a boil and cook about 3 minutes or until sauce is thick. Warm or cold, drizzle on top of cheesecake with some fresh raspberries. The holiday season is in full swing. With that comes the chance to reflect on the year and all of those people around us who have given of themselves to make our lives a little bit better. Now is your chance to show all of the important ones how much you appreciate all they have done for you. Whether your gift is something small, something that comes in a big box, or anything in between we have some fun ideas for you to spruce up your gift. Because with this season of giving, why not add a little extra love?!? When it comes to presents, tissue poms are like bows, but with more pizzazz. When you're all done wrapping your gift, fluff out a pom and stick it on top. Poms come in all sizes so be sure to choose the size that's right for you. When your done fluffing it out, push all the layers to one side so that it will lay flat on your gift. Have fun with paper snack bags! With all of the color and design options you will find what you are looking for. You can cut them up and wrap them around your gifts. Or cut them into triangles to make a mini flag bunting. With washi tape, baker's twine, and gift tags, the options are endless! 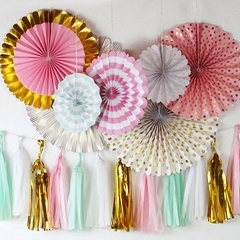 Seriously how darling are these paper pinwheels on a gift. If you don't have mini stockings you can put anything in the center like a picture of the gift receiver, a little note or card, or anything else that's fun or silly. Once you open the pinwheel and seal it with the sticky backing, just cut off the ends of the cardboard to make a perfect circle. Then you're all set! When gifting small items like treats or gift cards, mason jars are always a perfect solution for wrapping them up. Top the jar with a daisy lid, wrap some cellophane around it, tape a wooden spoon on it and you're done. The surprise is what's inside! We know that these ideas will make gift giving way more fun that gift getting. So happy gift wrapping and we wish you all a safe and stress free holiday season! It's time to grab your craft supplies and start trimming your tree and decking your halls! We are so excited about this holiday season and today's tutorial is sure to get you excited too. With just a little bit of hands on time you can personalize your own tree and home and get ready to welcome Santa! Before you start you will need some 3 inch mini paper lanterns in red, green, and white. Make sure you have enough to fill up your tree. You also need some ribbon and card stock, preferably with glitter. We also used a paper cutter, a hotglue gun, scissors, and tape. To make the ornament, cut off about 12 inches of ribbon and slip it through the top of your lantern and tie it off with a knot. Next we make the ornament topper by using the paper cutter cut the card stock about a half inch thick. Measure how long it needs to be by using the opening of the lantern, then close it off with tape. Slip the ribbon through your new hoop and use your hot glue gun to secure it to the top of the lantern. That's it! Unless of course you want to use your ribbon to add a little pizazz to your ornament lantern. Now that you know the steps, here comes the fun part. 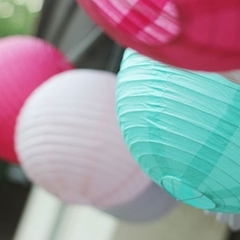 You don't have to stop at the mini paper lanterns. This tutorial works great for all our paper lantern sizes and patterns. Think of all the options you have! We especially love the lanterns with patterns. All you have to do is add the ornament topper and the hanging ribbon and the pattern takes over the rest! Next let's use some tissue honeycomb balls and your options increase even more. For the honeycomb balls you don't need to glue on the top of the ornament if you are hanging it. You can just set the ornament topper right on it. If you aren't hanging it up then you can use a couple dabs of glue to stick it on, you don't want to melt the tissue paper. For the larger ornaments you can use them in a photo booth, decorating your home for a holiday party, hanging around your mantle, or hanging them in trees (as long as there's no rain or snow in the forecast). We know you will love how fun these are and how easy they are to make! 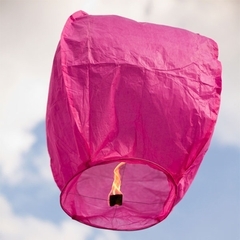 Be sure to check out our entire inventory of paper lanterns and honeycomb balls! Tips to host a gingerbread cookie decorating party for kids! 1: Everyone gets the same. That's right. When dealing with kids and candy and cookies, everyone gets the same. The same everything! The same number of cookies, positioned in the same way. The same number of candies, presented the same way. The same color plates and napkins. By providing everyone with the same exact set up then there will be no fighting, whining, or complaining, plus it makes your life easier. 2: Prepare everything ahead of time...everything. The table needs to be covered. The cookies need to be baked, cooled, and positioned on the plates. The frosting needs to be bagged and ready. The candies need to be sorted. Snacks, drinks, cups, and straws ready to be served. If you have everything ready before the guests arrive, the whole party will go so much more smoothly for you. 3: Provide a drink and salty snack. We all know there will be a kid or two there that will have more fun eating the candy out of the cups than actually using it to decorate the cookies. Or maybe they just eat the frosting straight from the bag. Be sure to provide something salty to off set all the sugar consumption. Popcorn is always a good idea. And be sure to have something to wash it all down. Milk is always a safe bet when working with cookies. 4: Find an easy craft. It's inevitable that some kids will finish decorating their cookies long before others. Be sure to have a simple craft or coloring sheet on hand to keep their hands busy while everyone is finishing up. If possible, keep them at the table as long as you can, as long as they aren't disrupting others. By keeping all the kids at the table then it's more likely they will all finish what they started, eat their snack, and make fewer messes in the rest of the house. 5: Let the kids be kids!! Let them decorate their cookies however they want. Let them eat the candies. Let them laugh and giggle. Let them take their time and be careful. By allowing the kids to just do what they want to do everyone will have more fun and you'll be less stressed! It's a win win for everyone. Nothing says "love" like putting in the time and energy it takes to make homemade treats during the busy holiday season for all your close friends, family, and co workers. If you're going to put in the effort to make the treats, why not make them look amazing while you're at it! Here at Just Artifacts we have just what you need to make your treats stand out from the rest, aside from how delicious they are of course. We have some fun ideas for you today to get you in the right holiday treat giving spirit! The first thing you'll need to do is figure out what you're baking this year and use that to guide your treat box purchases. If you're just serving it up to guests don't forget things like party hats to add to the display! Ice cream cups are very versatile. Whether you're filling them up and wrapping up the whole thing, or just sticking little treats inside, you really can't go wrong. 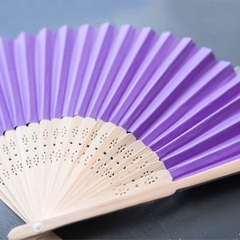 Add in wooden cutlery for some functional decoration. Don't forget hanging gift tags with washi tape and baker's twine to add the final personal touch to each gift. Sugar cookies are always a good idea. Use some party napkins to line up some fry boxes or popcorn boxes and fill them up with your homemade cookies (or store bought if that's your thing). Mix and match your favorite holiday colors and patterns to change things up a bit. You can add colorful touches with gift tags, festive ribbons, candy canes, or just leave them as is! There are so many options to making your treat stand out from the rest this holiday season! What are your favorite treats to pass out during the holidays? Which type of treat box best fits your needs, or do you like the idea of mixing them all up? Do you like receiving homemade treats during the holidays? Be sure to check out our entire line up of Christmas supplies for all your holiday party and gift giving needs! Baby it's getting cold outside so gather your friends and cozy up with warm blankets and steamy hot chocolate. Today we have a hot chocolate party that will keep you warm all evening long and possibly coming back for more. With so many flavors of hot chocolate these days and variations of toppings, you'll be sure to please the palate of all your guests. As the winter season approaches we get giddy for that first snowfall. We opted for a cool winter snow theme to balance the warmth of the hot cocoa. White with shades of blue create a cool and comforting atmosphere. For the back drop we gathered a few white paper pinwheels and blue tissue paper fans and arranged them behind the table. We added a couple honeycomb tissue balls to the table to add some dimension and color. However you like to serve hot chocolate is up to you, but a hot chocolate machine will whip up a nice frothy cup of cocoa in no time. We have wooden spoons for mixing, paper straws for sipping, and party napkins for keeping tidy. An ice cream cup is the perfect solution for serving up your favorite hot cocoa toppings. Whether it's cinnamon sticks or marshmallows they'll fit perfectly in your little cups. Be sure to check out our vast array of colorful confetti. We filled up one of our clear jumbo latex balloons with blue, white, and silver confetti before filling it up with helium. We added a couple more regular latex balloons to complete the party. 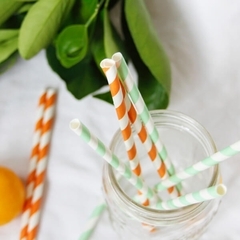 Whether you serve the cocoa in paper cups or mason jars, don't forget the straws! If you have little guests, you can cut the straws a little shorter to help them not spill so easily. The final touches for our party included plastic snowflakes, fake snow, a couple of our favorite decorations in white, and of course white Christmas lights. Other topping ideas include whipped cream, drink flavors, chocolate chips, so many options! This is a perfect party set up for a winter bridal shower, a baby shower, book club, a family gathering, or any type of get together with your closest friends. They'll be sure to love it!! After all the effort of making Thanksgiving dinner do you just want the luxury of sitting through ten minutes of your meal without the interruption of the kids running around?!? We have the perfect solution! Create a dinner atmosphere that will make them want to stay at the table all day. Well maybe not all day, but hopefully for at least ten minutes. Start your table off right. Wrap white butcher paper around the table and tape it under the table so it doesn't move around. We went with a fall color scheme of orange, red, and yellow and chose striped products for our kids' table. Start setting the table with your favorite coordinating party paper cups and party paper plates. Prior to the day of Thanksgiving, tie a napkin up with some baker's twine and slide a paper straw and wooden fork into it. Be sure to make enough for all the kids at the table. Place them on the table. On top of the plates find a fun way to display place settings. We used a pine cone with a personalized paper gift tag and placed them on top of the plates. The final touch to the table is treat bags filled with goodies. We hid them underneath the silverware so hopefully they wouldn't get discovered too early and defeat the purpose of having them. Inside the treat bags we gave each kid a sheet of stickers, some crayons, and a little treat. The crayons and stickers are to be used on the butcher paper table cloth, and the treat is to keep them quiet while they do it. Here's a close up of the place setting and of the treat bag goodies. These are fun because you can personalize what's inside for each of the guests and their ages. What is your favorite part of Thanksgiving? Do you do something special for the kids' table? What else would you include in the treat bags? Do you like the idea of paper plates for everyone or for just the kids? Click here to see check out how we set the adult table last year. Check out our new Thanksgiving gathering printable invitations! And, as always you can follow us on Pinterest for even more festive ideas and inspiration. Grab your mason jars because today's post will inspire you to get into the fall spirit. With temperatures dropping and the giving season upon us we have four fresh ideas for those mason jars stored in your cupboards. And if you don't have any jars on hand be sure to swing past Just Artifacts for all your mason jar and daisy lid needs! Mason jars are perfect for gift giving. Whether you fill the jars up with treats or with sweet gifts, the receiver will love it. We filled some jars up with some popcorn and candies and topped them off with colorful daisy lids. These will make perfect gifts for friends, neighbors, teachers, or co workers. Other gift ideas include candies, homemade face scrubs, and s'mores kits. A gratitude jar is a perfect yearly tradition to implement starting now. Leave the jar somewhere easily accessible with small pieces of paper close by. Each day have everyone in your family take a minute to think about something they are grateful for and write it down and slip it into the jar. At the end of the month take some time as a family to sit and go through all the things you're grateful for. Thanksgiving dinner is an excellent opportunity to do so! Fill your jars up with popcorn kernels, or any small candy, and place a candle inside. Finish it off with a bow. 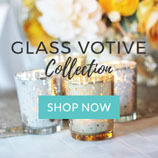 Pair it with other candles on your mantle, a table centerpiece, or a coffee table to set a cozy atmosphere inside your home. Fresh flowers would also look great if you don't like the idea of candles. Host a hot chocolate party! Use mason jars to display the different flavors of hot cocoa in your hot chocolate bar. Use wooden spoons with labels to indicate the flavors and let your guests do the rest! We used hanging paper gift tags and attached them with baker's twine to the spoons. This gives you a great excuse to have a party and to use your mason jars. Which of these ideas is your favorite? Which one are you most likely to use. Be sure to use #justartifacts in all your holiday party decorating fun and be sure to follow us on Pinterest for more ideas and inspiration. Whether you're planning a party for kids or just looking for an after school activity we have a fun project just for you! Halloween is full of all sorts of characters like witches and mummies and today we are sharing a way to bring them to life with supplies from Just Artifacts. It will be sure to keep even the smallest of your friends busy and having fun. The first step is to gather all your extra paper party cups, popcorn boxes, ice cream cups, paper party plates, paper straws, baker's twine and washi tapes. While you're at it, grab any other craft supplies you may have on hand like pipe cleaners, duct tape, feathers, ribbon, scissors, glue, and you can't forget some googly eyes. In addition to making some typical Halloween characters, we also came up with the idea to do animals dressed up in costumes. We made Frankenstein by starting with a popcorn box and using some striped washi tape for his hair, a paper straw for his mouth and another through his head, some pipe cleaner for his scar, and googly eyes to finish him off. For the cat mummy we used some white duct tape around a paper cup. Then added his face and ears with pipe cleaner and then added some eyes. The bunny vampire was made with ribbon, pipe cleaners, and eyes. With adult supervision a hot glue gun is the way to go for securing on the parts. We added a turkey into the mix in case you need a fun idea for Thanksgiving coming up. 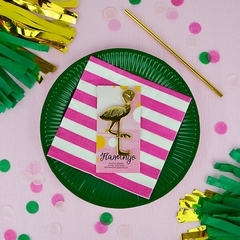 Just add some feathers to the back of a popcorn box, paper straws for feet, and a little gobbler on the front. Because it is right side up you can even use it to fill with treats for the big day. When starting with the right supplies and a little inspiration, you never know what you'll end up with. Be sure to check out the spooky tissue paper tassel garland kit to make the craft table more festive and some plastic tablecloths for easy clean up. Stop by our Halloween section to take care of all your needs for your upcoming Halloween festivities. Calling all witches!! Put away those broomsticks and take a break from making spells and come enjoy a night out with all your best friends! You may think that Halloween is just for kids, but we all know better. Today we have a spooky party set up for you and all your favorite witches to enjoy. Knowing that this party was aimed for all girls we wanted to make it sparkly and glittery. We started with glitter paper lanterns in gold and silver. We also added in a black one as well and hung them from the ceiling. We hung up a black sheet for the background. We cut out stars from silver glitter card stock and a moon from gold glitter card stock. For the witch silhouette we used purple glitter card stock. Nothing says party like a fabulous spread of goodies. With a perfect combination of salty and sweet you're bound to please all your witchy guests. For the table we used a white table cloth and spread a spooky black table runner over it. We used purple glitter spiders to decorate the table runner. For the centerpiece we placed a box in the middle and draped it with some Halloween fabric. We used the box to hold the wooden cutlery in mason jars along with a spooky light up tree. We filled up treat cups with candies and spread them throughout the table. We set out purple party plates and party napkins for the guests to use. Off to the other side of the room we had our beverage table. By having them in separate areas it keeps your guests moving. We continued with our purple theme from the plates and napkins and added in some black as well. We used a tray with some extra festive decor to hold the party cups and Halloween paper straws. We hung some fun decorations and finished off the water dispenser with a witch's hat to add the perfect touch! Whatever you end up doing for your Halloween party, be sure to check out our entire line up of Halloween party supplies. We have you covered for everything from washi tape to tissue tassels. 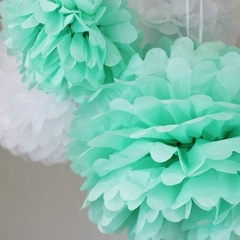 And for even more party ideas check out our Pinterest page.